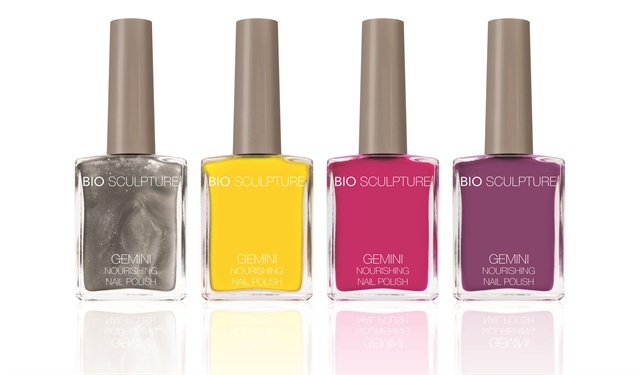 Bio Sculpture’s new Gemini polishes match its Biogel colors. The polish contains hardening plant extract agents derived from aloe vera, lemon, and ginseng. It’s fast drying, long lasting, and will add strength to the nail. Gemini’s thick black bristle brush promotes even application, consistent coverage, and precise product control.